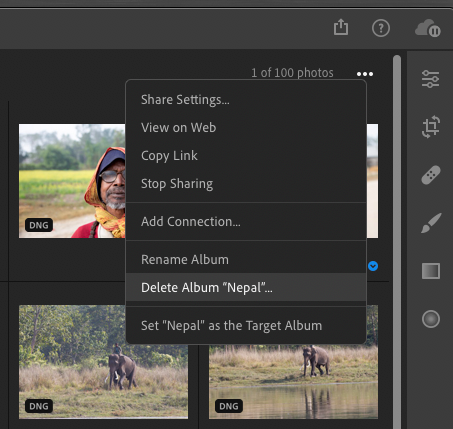 If you’ve been paying attention to the timing of Adobe’s recent update cycle for applications within the Photography Ecosystem you’ll have noticed that the period between updates is roughly every two months. The last updates were in mid October. So, it isn’t surprising that today sees updates and enhancements to Lightroom, Camera Raw, etc. My main focus of attention below relates to Lightroom Classic CC and Lightroom CC for the desktop. Customisation of Develop Panels has been at the top of customer feature requests for more than decade. As of this release it has now become a reality, albeit not as full fledge as many would wish for. Until now you could only choose visibility of the Develop module panels, now they can also be rearranged. While this enhancement will please some it falls short of the Holy Grail of customisation; i.e ‘floating’ panels, and for this reason some customers might see it as more of a miss than a hit. 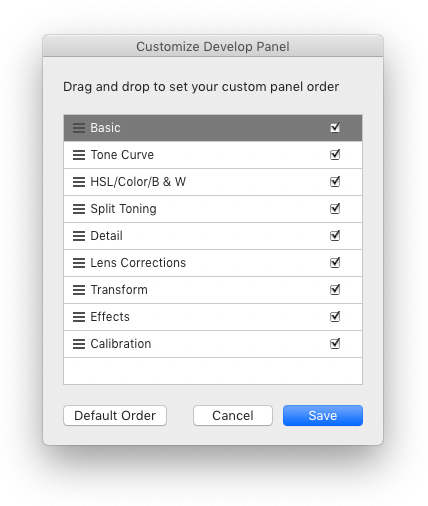 Right Clicking (Control + Click on macOS) on the header of any panel (in the right-side only) will show a context menu with “Customise Develop Panel…” option as shown below. You can also choose visibility of the panels in the same dialog. Lightroom must be restarted to show the panels in the new order. The KBSC for the panels (CMD/CTRL + #) will also reflect the current custom panel order; e.g. if Transform panel is moved to 2nd position, then the KBSC CMD/CTRL + 2 will expand/collapse Transform panel. In below example, I have reordered the ‘Detail’ panel so that it’s between the ‘Basic’ and ‘Tone Curve’ panels. 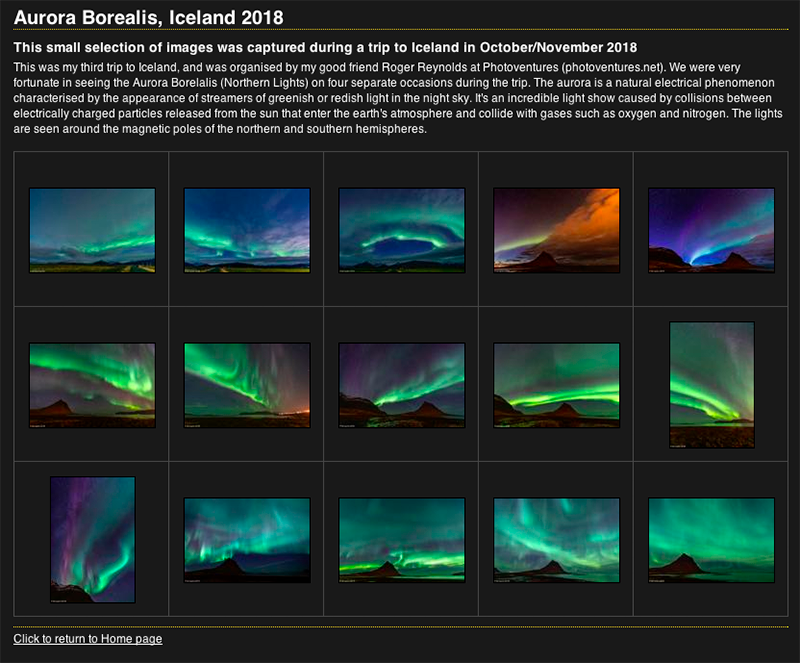 Another long awaited feature is the ability to automatically add an image to a collection when using Auto-Import. For example, you can setup a Watched Folder on your computer into which images are automatically placed then add the images into a collection. 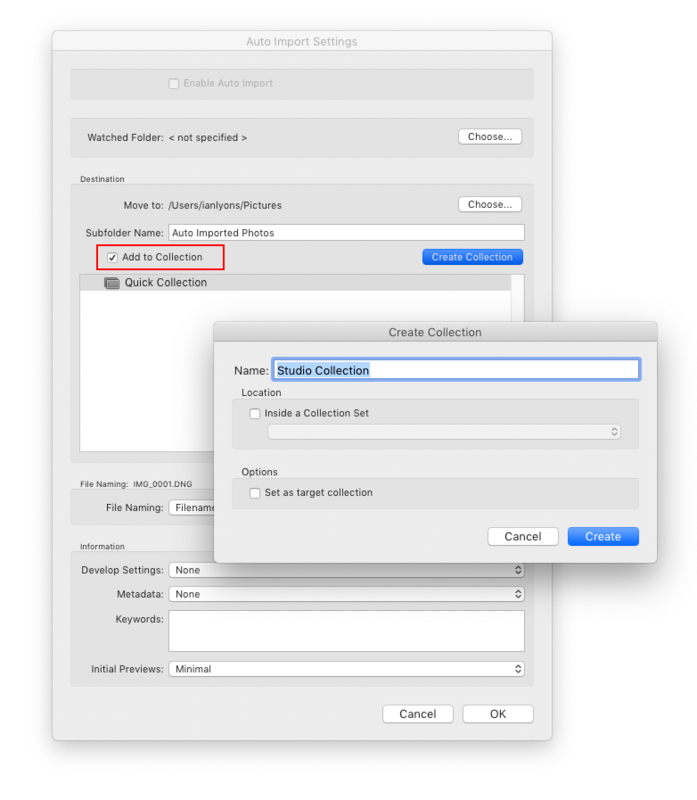 From File menu choose Auto Import > Auto Import Settings > check ‘Add to Collection’ and specify the collection. After a long period in the doldrums the Book module has seen much needed attention in recent updates. For 8.1 Adobe has added the ability to snap an image to either a Cell or Grid, thus allowing you to easily align images in a Book layout. While the enhancements to develop presets and profiles introduced in version 7.3 (April 2018) were widely welcomed not all customers found the transition trouble free. Fortunately, the engineering team have worked to address many of the issues some customers experienced. With version 8.1 their attention was focused on improving the handling of duplicate presets. ‘Replace’ the existing preset – only the latest preset with the same name will remain in the group. 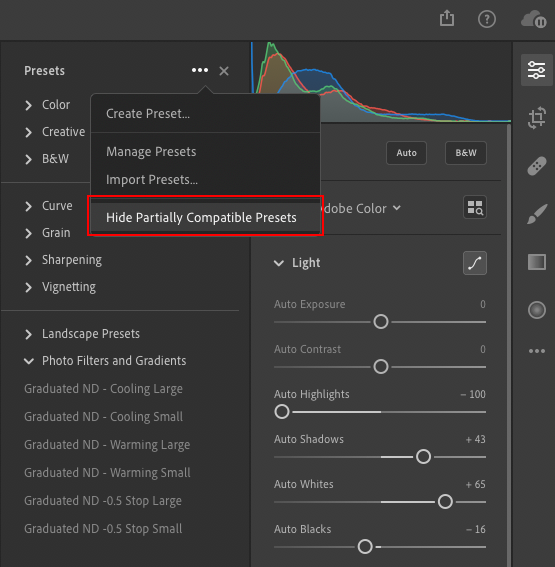 Some Develop Presets may not appear in the Presets panel because they are incompatible with the selected photo. 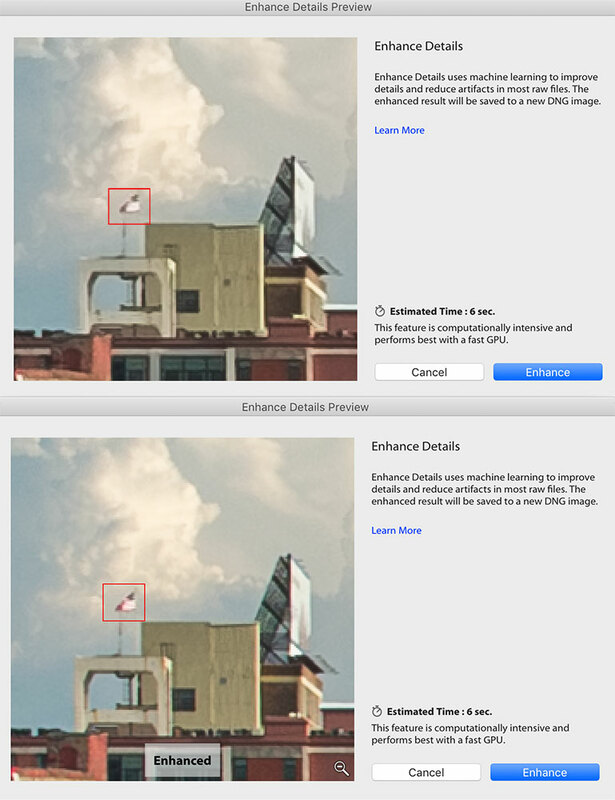 For example, camera profiles that are not applicable to the current photo or presets that only apply to raw files. 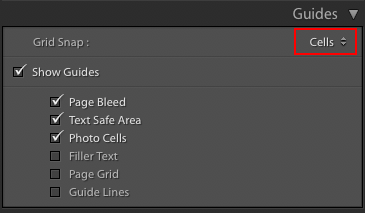 These non-compatible presets are shown as faded and in Italics style in the Presets panel in Develop. 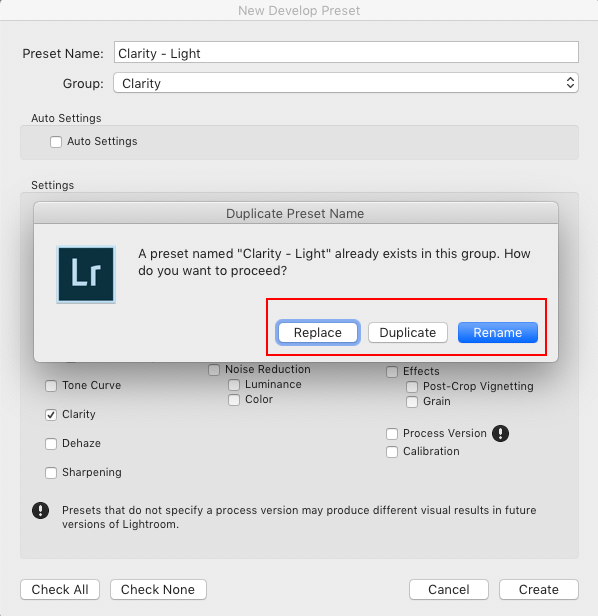 You can configure Lightroom Classic to show all presets even if they are not compatible with the current photo by enabling a preference in the Visibility section as demonstrated in below screenshot. 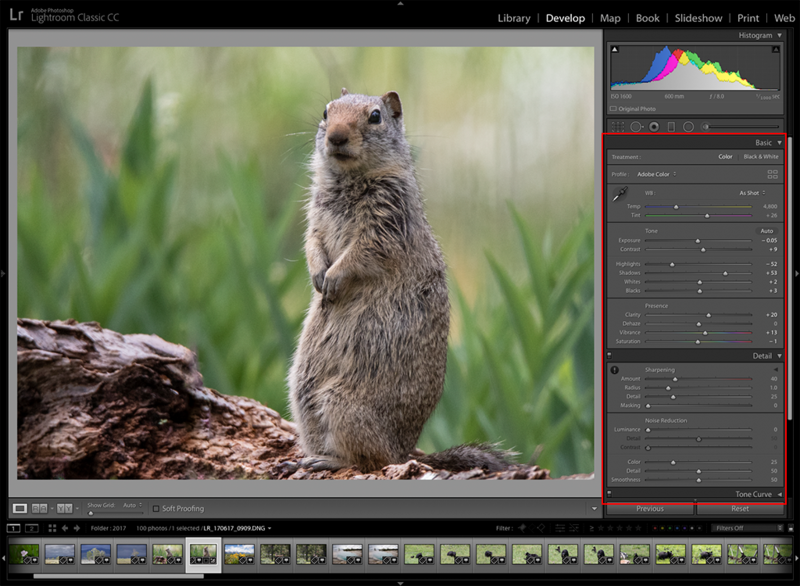 Improving performance in Lightroom Classic remains a high priority for Adobe, and with this update their focus has been on faster grid scrolling, and switching between the Library and Develop modules. The latter will be most obvious to customers using 4K and 5k monitors. 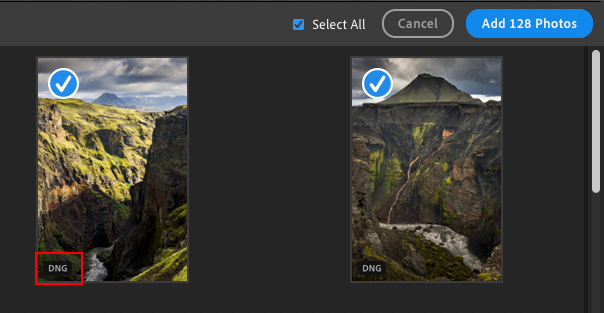 Full details of what’s new and fixed in Lightroom 8.1 can be found on the application ‘What’s New‘ page. 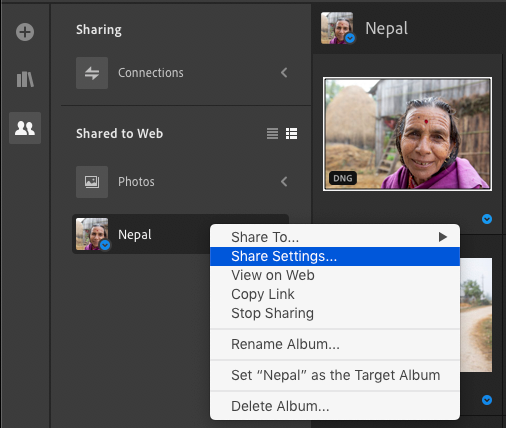 Lightroom CC (desktop) has also received some attention particularly in the area of sharing, adding photos and develop presets. Previously, you could configure Lightroom CC to share an album but many customers were looking for greater refinement. 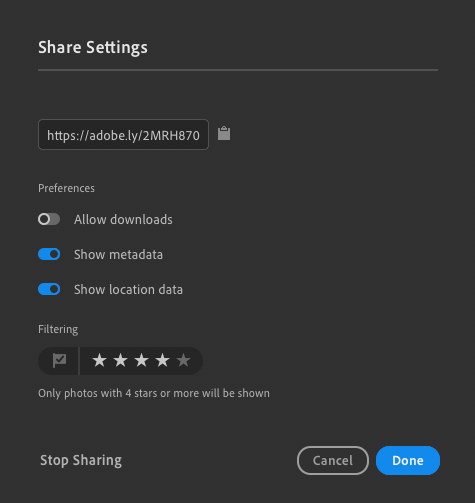 With 2.1, Adobe have incorporated the ability to filter the contents of a shared album according to the photo rating or flag. The new filters are part of ‘Share Settings’ which can be accessed via ‘Share to Web’. The Add Photos (Import) window now includes the ability to select albums that are contained within folders. The albums are displayed in the form of a hierarchy as shown below. File Type badges are now displayed on the photo thumbnails in the Add Photos window. Whilst not actually new to version 2.1 ‘Set to Target Album’ didn’t receive much, if any, explanation when it first appeared in 2.0. With this feature you can quickly add photos to a target album from anywhere in your library using either the keyboard shortcut ‘T’. To configure an album as the target, you first find the album then either right-mouse-click [Ctrl+click (Windows) or Cmd+click (Mac)] on the album. Alternatively, click on the 3-dot menu at top right corner of grid content view. Notice that you can also delete an album from this menu. As with Lightroom Classic 8.1 develop presets in Lightroom CC (desktop) 2.1 now includes the ability to control the visibility of partially compatible presets. However, unlike it Lightroom Classic it is much easier to find plus toggle on/off if desired. To enable/disable this feature you simply click on the presets 3-dot menu then click on ‘Hide Partially Compatible Presets’. 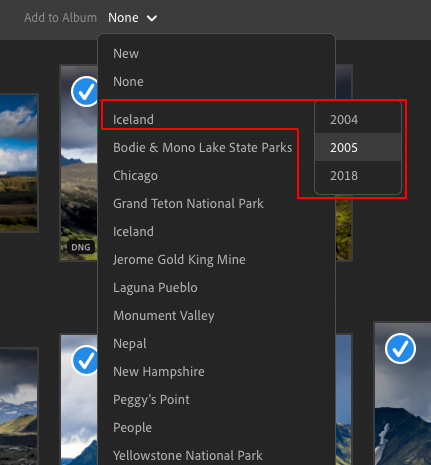 Full details of what’s new and fixed in Lightroom CC 2.1 can be found on the application ‘What’s New‘ page.